Why is my child coughing? Paranasal sinuses open to the upper part of the common nasal canals. Due to anatomical reasons the secretion produced here may flow backwards more easily than towards the nostrils on the face. 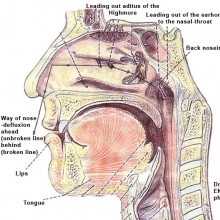 This secretion flowing to the pharynx makes the child cough. 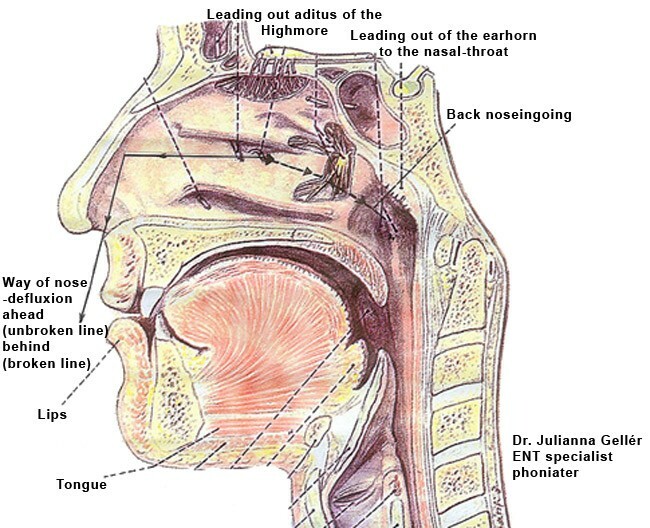 The younger the child, the shorter and straighter his/her pharyngotympanic tube is. A common side effect of the cough is the flowing secretion can be coughed into the middle ear, which may lead to its inflammation and furthermore infection. Middle ear infections are very common (and painful) among babies and toddlers. This is why it is important to remove mucus when a child is suffering from a runny nose as it helps prevent further complications such as middle ear infections from developing.